Is your electrical service properly grounded? Grounding is one of the most important parts of any electrical system and probably one of the most overlooked by homeowners. Is your electrical service properly grounded? Grounding is one of the most important parts of any electrical system and probably one of the most overlooked by homeowners. 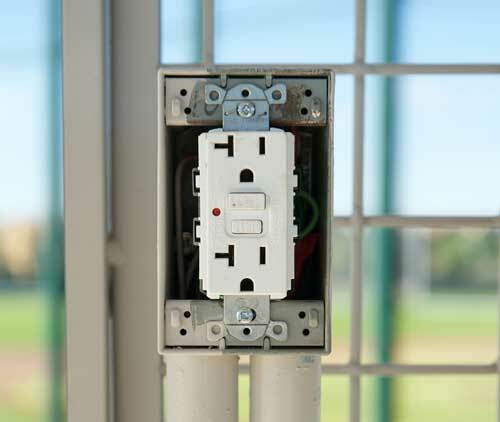 Proper grounding of your electrical service is critical for the safety of your home. Many older homes do not have proper grounding. Ground rods, water bonds, and gas pipe bonding is required by today’s code, and is an important part of your electrical system. Portman Electric can provide an on-site inspection in Cleveland and Northeast Ohio as well as repairs if needed to make sure your electrical service is properly grounded. We feel that our electricians and office staff is the reason for the success of our company.